Can you ever imagine yourself saying “I have too many bags”? No, I didn’t think so either! Just like with shoes, we can’t get enough of all the different purses out there! 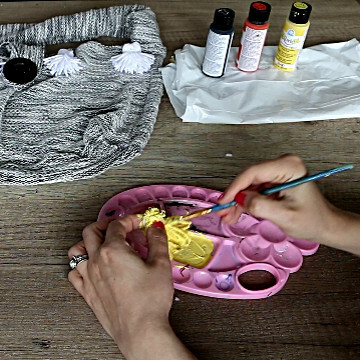 This quick DIY will walk you through how to make a tote bag out of a shirt, so you can add another unique piece to your bag collection! 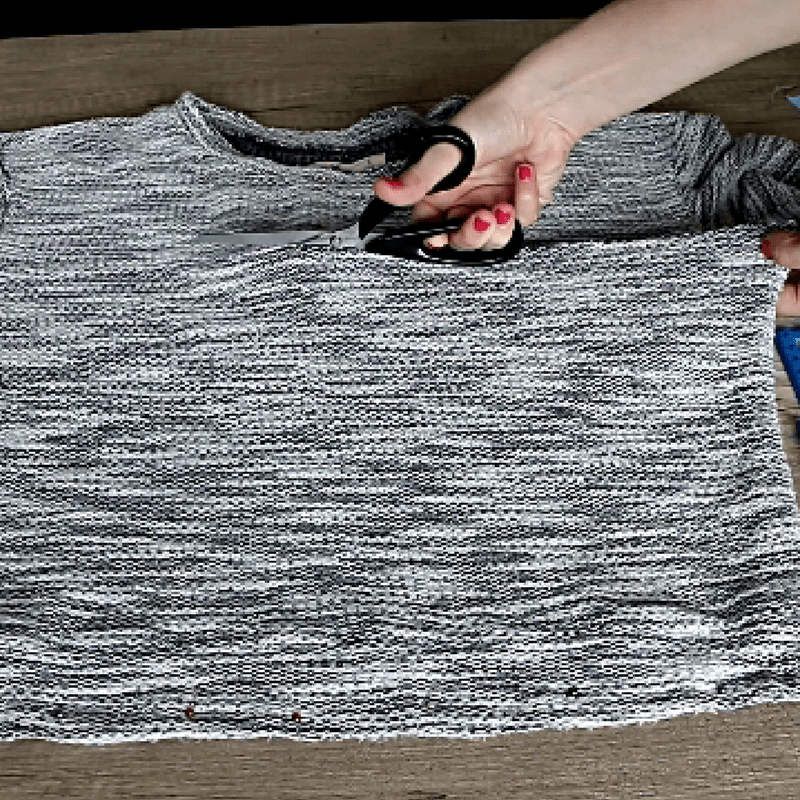 If you want to wrap up this t-shirt DIY faster, you can skip the decoration. 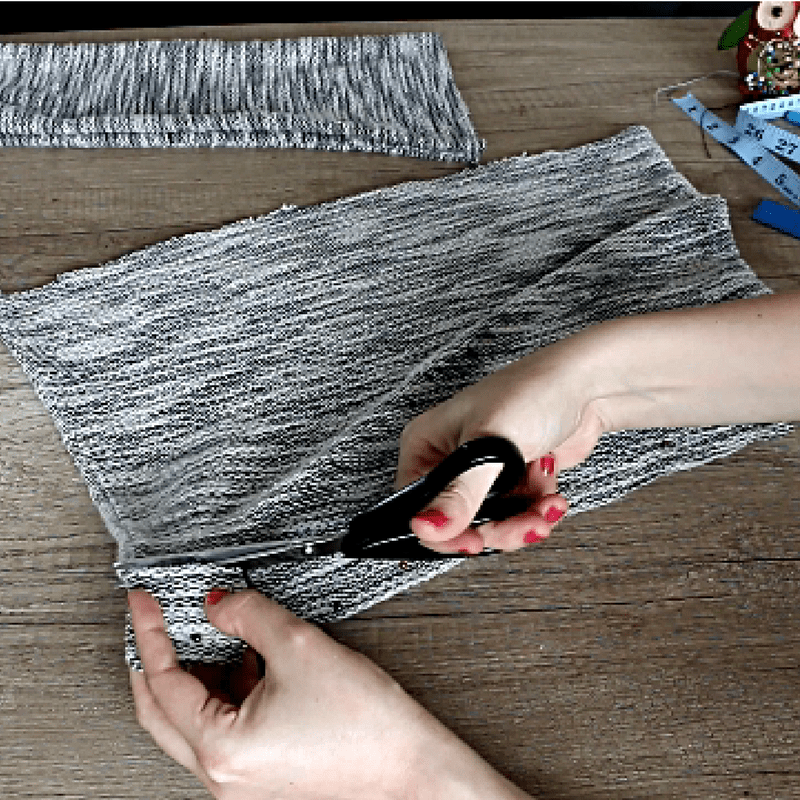 As I was going through a few ideas on how to make a tote bag out of a shirt, I wanted to focus on a DIY that is really quick and easy. 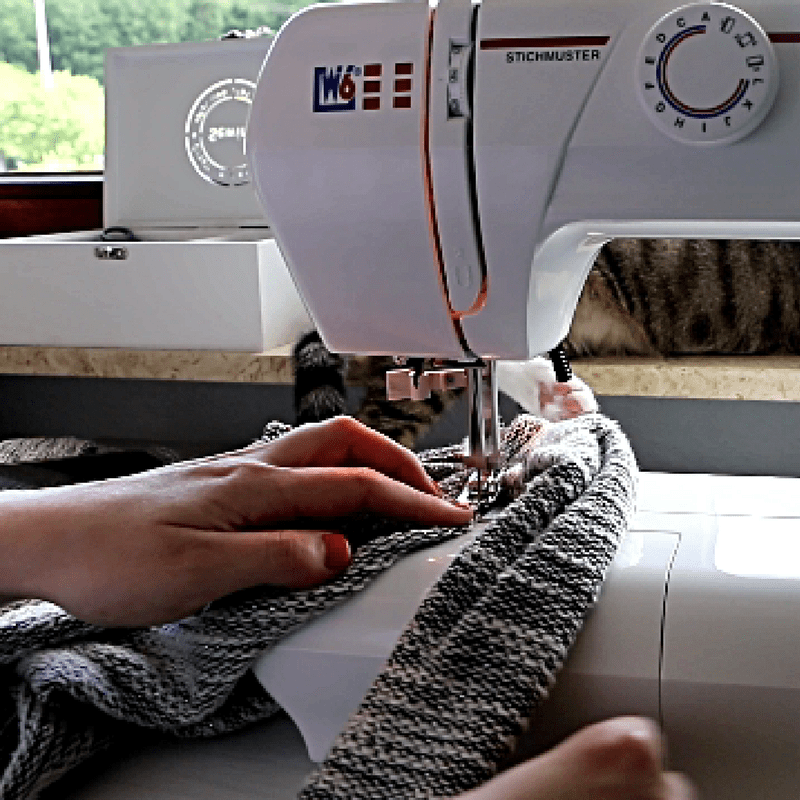 I tried to limit the amount of sewing as much as possible. To do that, make sure that you keep the original stitches of the t-shirt. You want to cut the shirt right below the sleeves. A vanishing marker may come in handy to make sure you are cutting in a straight line. Also, use pins to keep the ends of the fabric aligned. 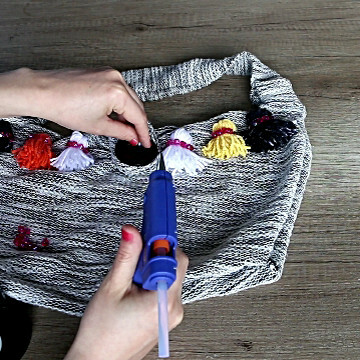 Next, you want to set aside some fabric for the handles of the DIY bag. If you are using a long sleeve shirt, cut the sleeves off – they will be re-purposed as a purse strap. 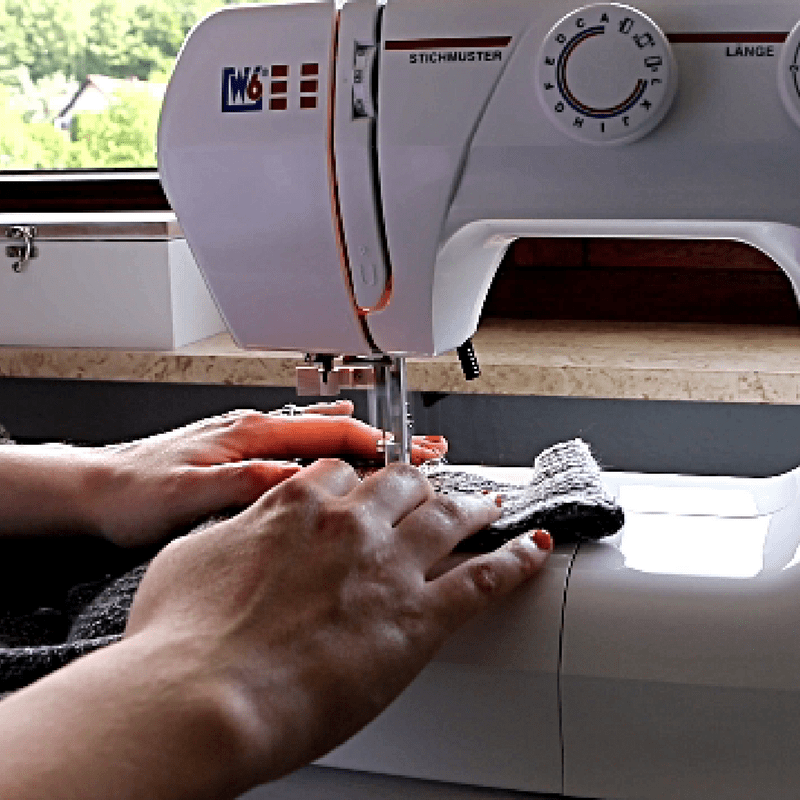 If you are working with an old t-shirt, cut a strip of fabric from the top of the shirt, keeping its original stitches intact. 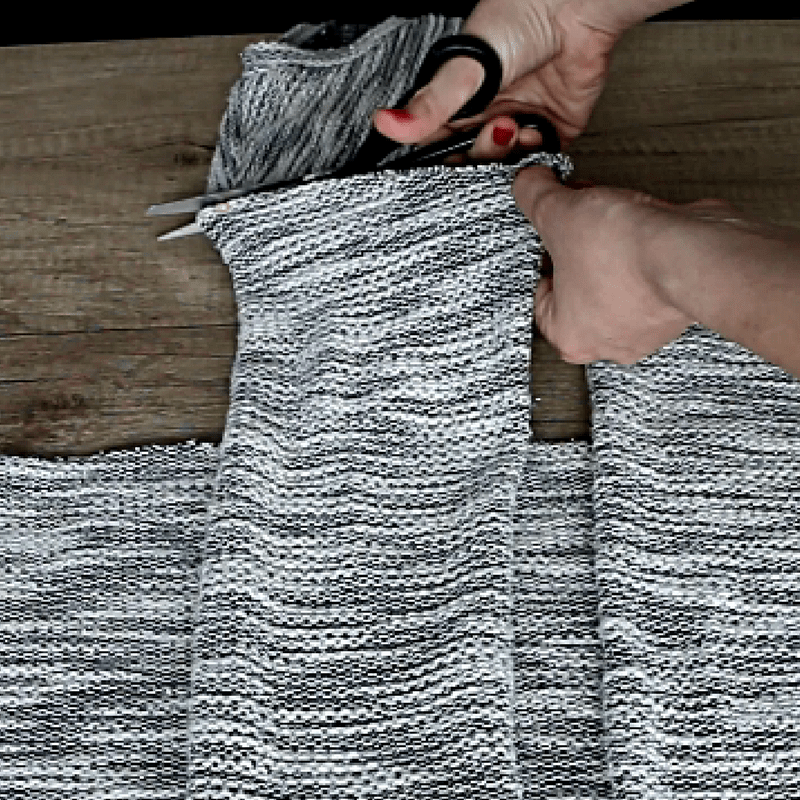 The next step of this t-shirt DIY is cutting two 2″ squares at the bottom ends of the shirt. Now we get to sewing the tote bag. 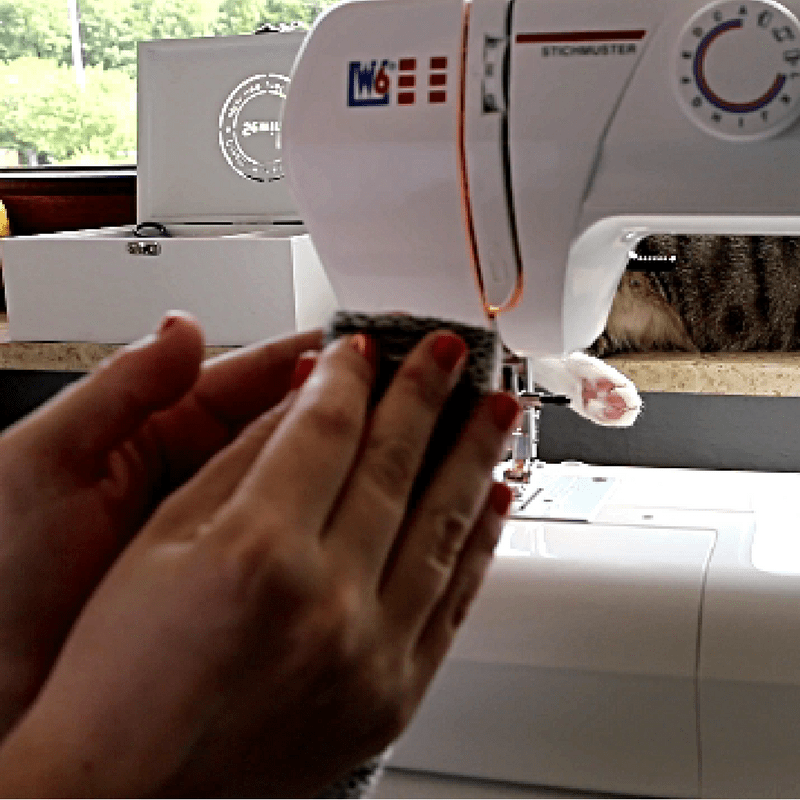 Make sure to use pins to align the ends of the fabric. 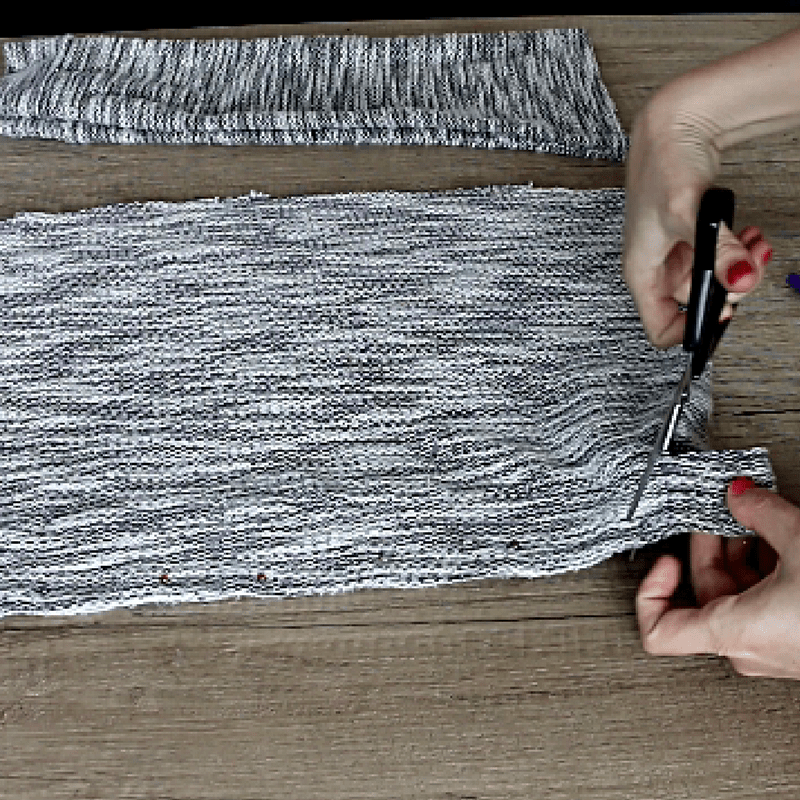 To turn this t-shirt into a purse you will need to sew the bottom of the shirt with a zig-zag stitch. 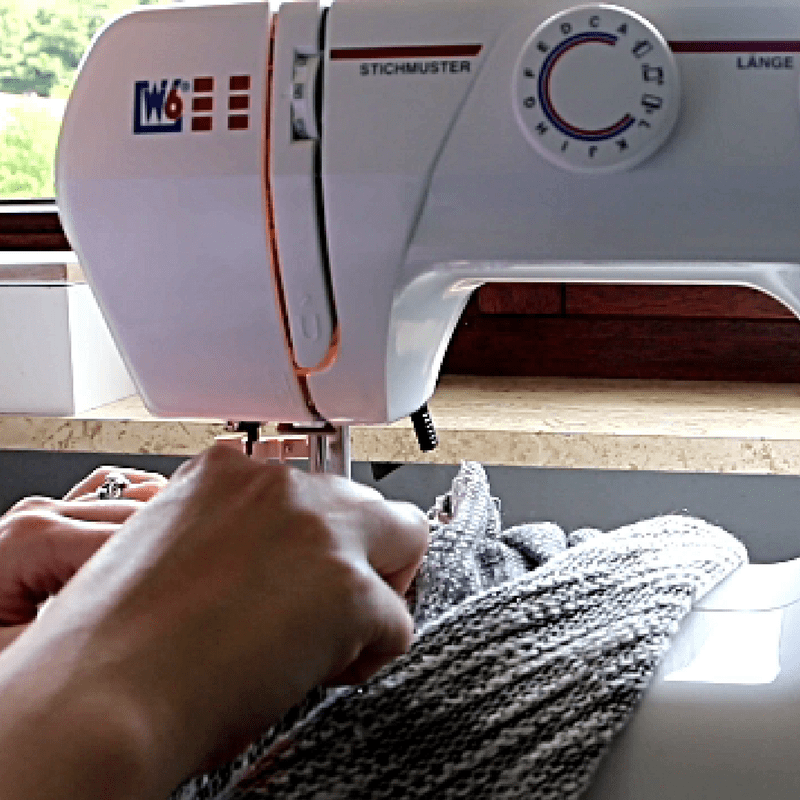 Then, make a hem at the top of the fabric, using a straight stitch. To add a strap, fold the sleeve (or the fabric strip) to make it thinner and sew it on the reverse side of the bag. 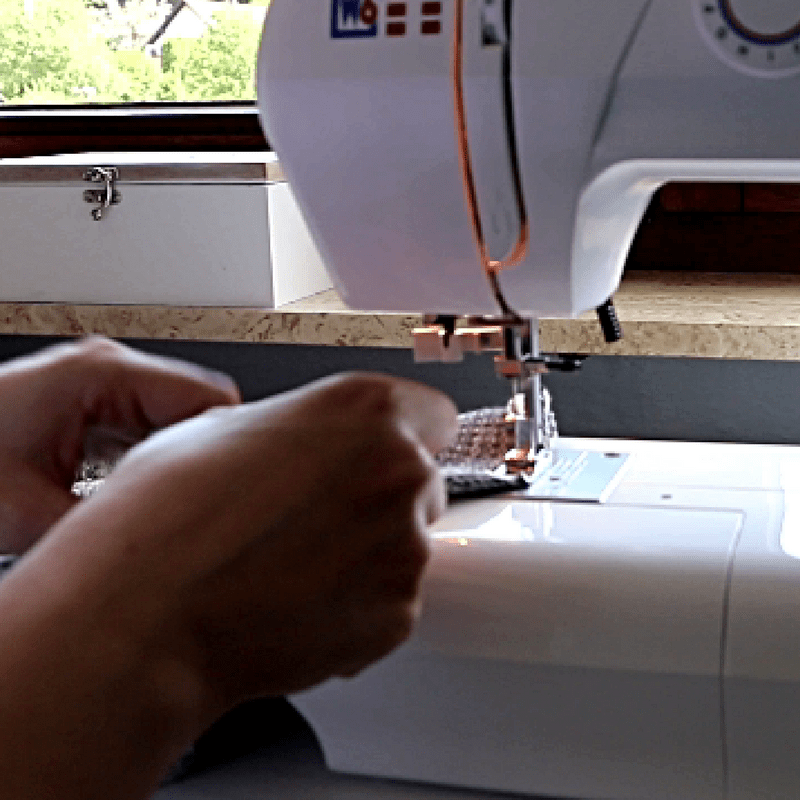 Finish up by using a straight stitch to sew the ends of the strap together. Now that we have the DIY bag ready, we can start decorating. 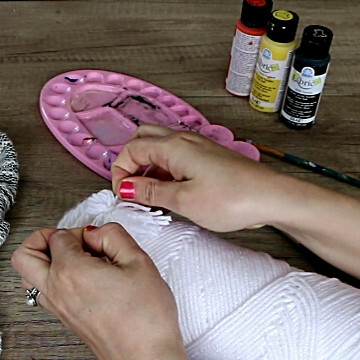 Make a loop from the fabric and sew it in the middle of the top edge of the purse. 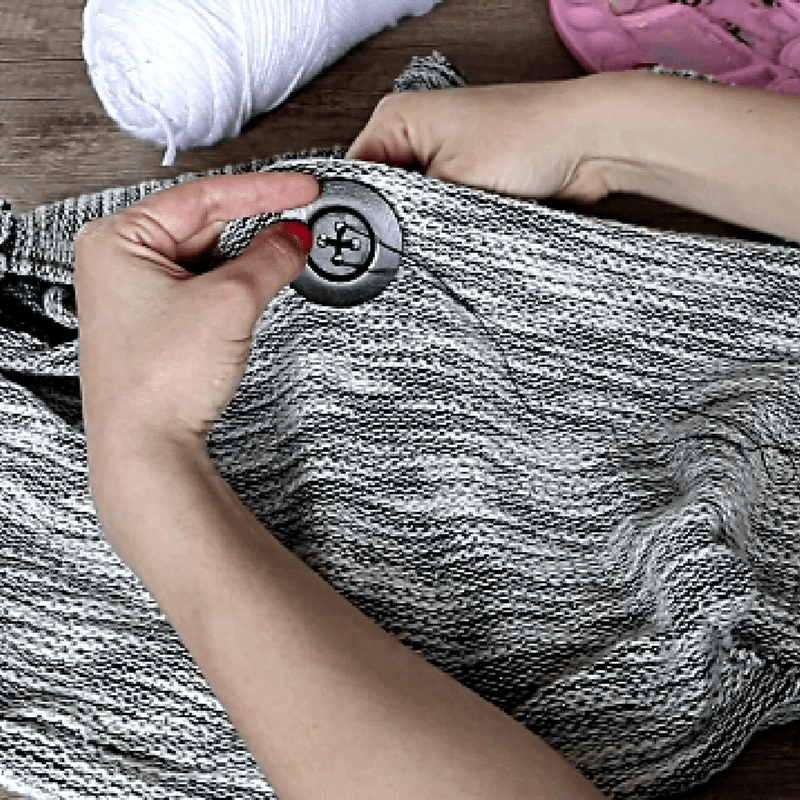 Then, sew a button on the opposite end. Finally, add a bit of zing by decorating with cute woolen pom poms. 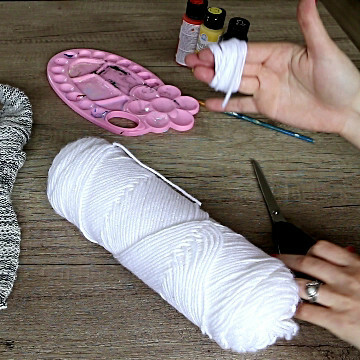 Wrap some of yarn around 3 of your fingers. 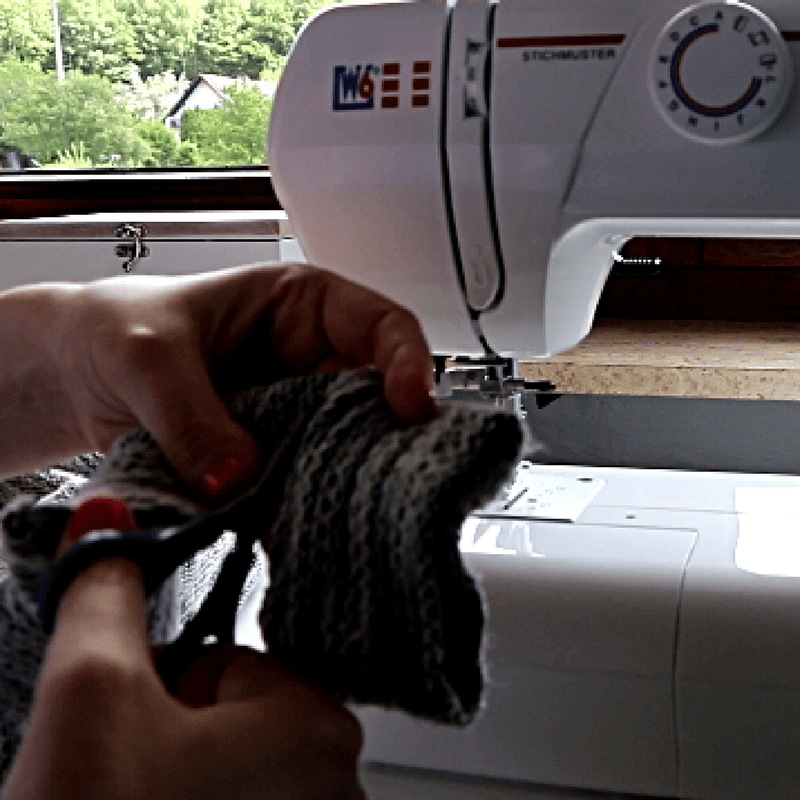 Then, cut one of the ends of the resulting loop and use a string to tie the pom pom together. Tie another string of yarn around the top of the pom pom and even out its ends. 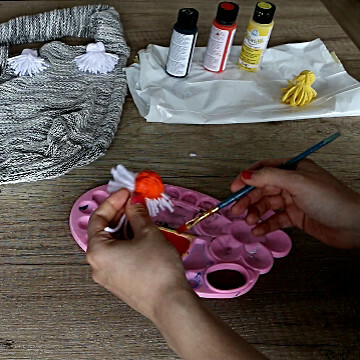 You can also add some color to this DIY t-shirt bag by painting the pom pom in bright colors and gluing colorful beads on them. 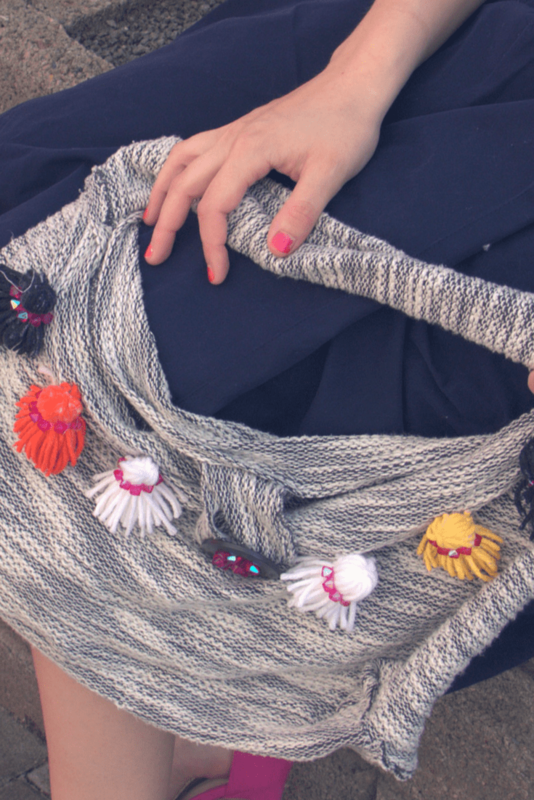 Below you can see the handbag I got after completing this simple idea for upcycling t-shirts. 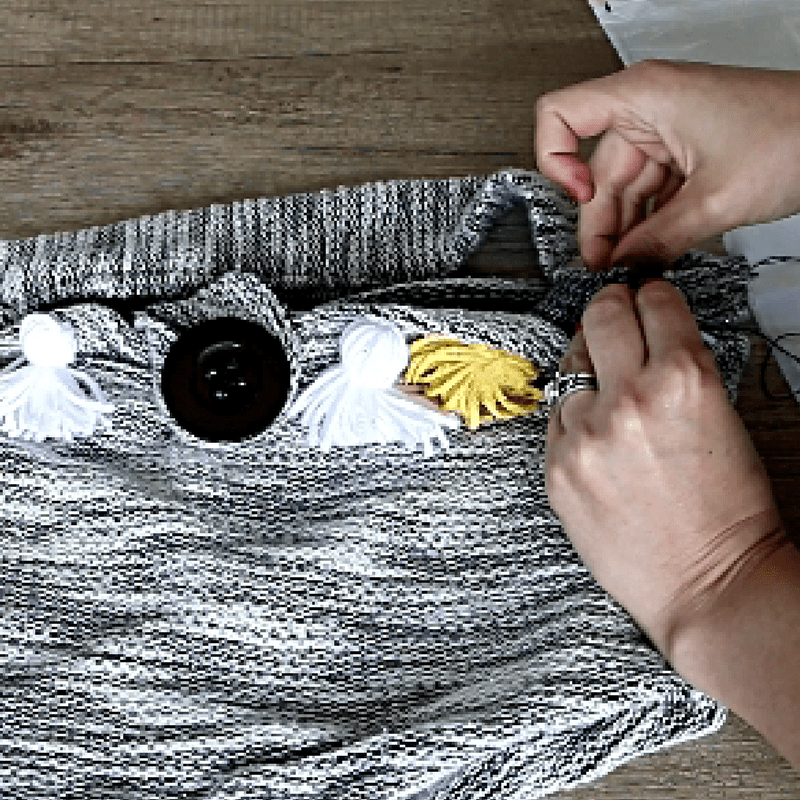 If you are more of a visual learner, check out the video on how to make a tote bag from a shirt posted at the top of the page.